We watched the unlikely pair of Michelle Money and Cody Sattler fall in love during the few days they were together on “Bachelor in Paradise.” I didn’t think they would make it a week, let alone six months together. However, they announced their split on December 17th via social media… Cody first issued a statement on Instagram followed by Michelle on Facebook, both saying basically the same thing. They respect each other, thankful for the time they got with each other, but they’re just going to be lifelong friends. After 6 months of dating, Cody and I have decided that we are going to move on from our relationship. I feel very blessed and fortunate to have shared such beautiful memories with such an incredible guy. Bachelor in Paradise was more then I could have imagined. Cody truly has blessed my life and the life of my daughter in more ways than he will ever know. His positive impact on Brielle is something I will forever be grateful for. This decision has been a very difficult one to make, to say the least. Especially with all the amazing love and support we have felt from so many fans! I personally want to thank each of you for the encouragement you have given me as a single mom trying to make the right decisions for my daughter and myself. I am so grateful I followed my heart and that it lead me to Cody. He has made me feel so loved and so appreciated. I only wish that it could have ended up the way we had hoped. I wish nothing but happiness and love for Cody! Brielle and I look forward to a life long friendship with him and will always love and support him in all he does. Thanks to everyone, again, for all the love and support! Michelle, who I will admit was not my favorite the first time she appeared on Brad Womack’s season of The Bachelor, has done a 180 on my impression of her in more recent years. She appears to be level headed, fun, kind, not a drama seeker, and not to mention downright gorgeous. If I can find any faults in Cody, who first appeared on Andi Dorfman’s season of The Bachelorette, is that he is too nice. He wants so desperately for someone to love him that he will do anything for them and is very passionate and loyal from the start. This, I can imagine, could make a woman feel emotional pressure and possibly a feeling of suffocation. That being said, Michelle and Cody are two wonderful people (from what I can tell) who demonstrated class in announcing their breakup. I wish them both luck and my prediction is that neither will be single for long. 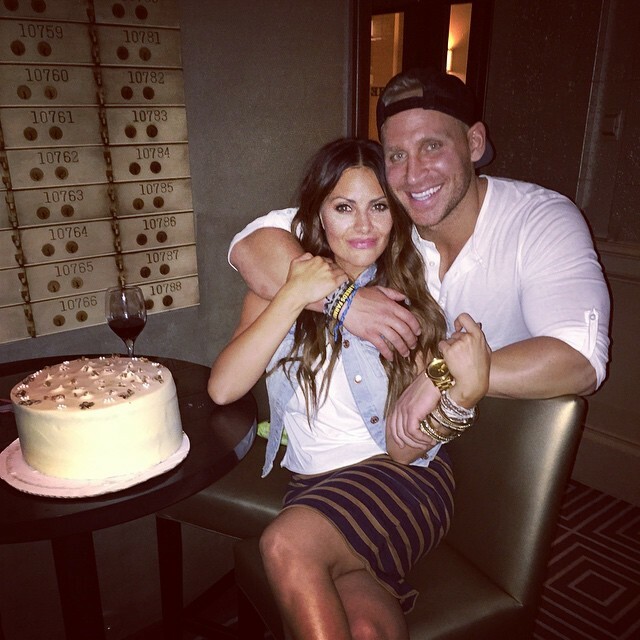 Posted by amandatalkstv on January 3, 2015 in Bachelor in Paradise and tagged Bachelor, Bachelor Pad, Bachelorette, break up, Cody Sattler, Michelle Money, split.